If a roof garden is something that you're contemplating then consider three things before you get underway. The first is weight, as it's all well and good wanting scores of flowers and plants surrounding an idyllic seating area, with plants in decorative pots, to find that it's far too much for the rooftop to take. Saying that, it's easily achievable to strengthen any roof with a little planning, care and attention. So be aware at the planning stage and all of this can be taken into account. The second consideration for your roof garden, if it's above a room for instance, is how impervious is it? You'll enjoy the fruits of your labours with a beautiful garden setting only to find its a rooftop colander to the area below. 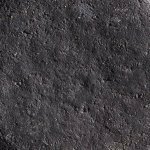 There are numerous lining methods including asphalt, fibreglass, resin liners plus others from builders merchants and tile suppliers to name a few. All of these will be adaptable to your particular circumstances so check out the options. The third issue is drainage for your roof gardens, without this, there's an accident waiting to happen. Your rooftop space will already be able to expel water, however, forward planning is a must to allow that to continue, especially where drainage can easily be blocked. 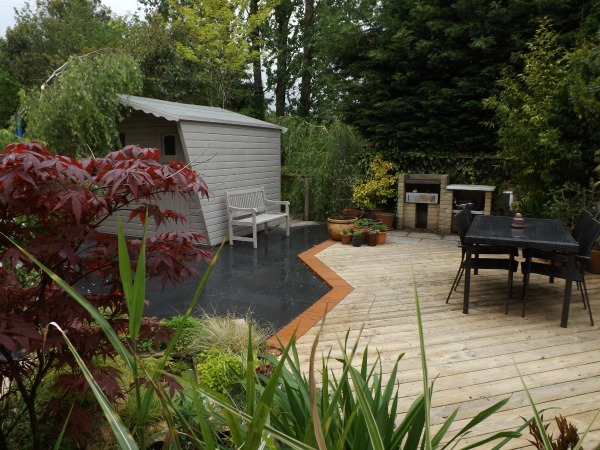 Staying on the drainage aspect and starting from the floor up, decking is a nice option which can be laid easily and gives a good surface to walk on throughout the seasons. If you're using a lot of plants in pots just make sure you use 'feet' to raise them off the floor, whichever type you use. Artificial grass is also easy to lay and allows you a lot of freedom as far as weight is concerned and is both durable and clean. If at any time you decide on a change, this can removed without too much effort or cost. Seating and tables should be kept to lightweight options and possibly the type that can be packed away, but saying that, if your rooftop garden or terrace is robust enough, permanent garden furniture can be used throughout the year. Cooking can also be enjoyed on any number of barbecue options with clay ovens and pizza ovens being quite safe to use, although portable or permanent bbq's are plentiful and usually are central to the outdoor ambience. If your roof isn't already bordered by a barrier of some kind then balustrade of wood, steel or glass are excellent, with a mixture of glass and brushed steel being high up there on the list of most wanted's to give an excellent safety option, enjoying the maximum vista without being overly cumbersome. Although being 'up in the sun', and enjoying the maximum benefits, there will be times when a little shade is required and absolutely necessary, so parasols, pergolas and other suitable cover could be needed from time to time. These will have to be safe in this environment and easily handled, to be raised and lowered without delay. Access to a roof garden can be created by changing a window to a door and is perfectly acceptable to your planning department, arranged through any local architect or builder. If this option isn't present then an opening can be formed out of any wall or roof, from what might seem the most impossible of circumstances., but do-able nevertheless. Approaching your local planning department is not something that needs to be done via the construction professionals but is there also for the general public to enjoy. If you have an idea in mind and want to know what the possibilities are, just contact your local authority for more information. If we can assist you with ideas for roof gardens please contact us for more information.